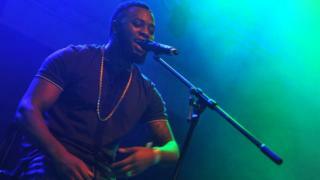 Cadet has died in a car crash on the way to a gig in Staffordshire.The rapper's family shared the news on his official Instagram account. "We the family of Blaine Cameron Johnson otherwise known as Cadet (Underrated Legend) would like to share the sad news that during the early hours of 9th February 2019 he passed away. "In a statement to Radio 1 Newsbeat, his management said the 28-year-old was a passenger in a taxi. In a statement, Staffordshire Police said: "Emergency services attended and a passenger of the Toyota, a 28-year-old man from London, sadly died at the scene. "The drivers of both vehicles, a 36-year-old man from Stoke-on-Trent and a 22-year-old man from Crewe, were taken to the Royal Stoke University Hospital with serious injuries. "Three further passengers of the Toyota were treated at Leighton Hospital in Crewe. "DJ Semtex posted on Twitter: "I can't believe it", adding that it was going to be Cadet's year. He was due to perform at Wireless in July. The festival's website reads: "The proclaimed "Underrated Legend", Cadet, stepped into the music scene during the second half of 2015 with a hard-hitting freestyle reaching over half a million views in just a few months. "This was quickly followed by another heartfelt freestyle, Cadet is tipped for an unstoppable career."